THE BEAUTIFUL SPORT of football, like life, can be visualized as a seemingly infinite game of Pac-Man, wherein young players are repeatedly chased throughout their career by an assortment of problems. While Pac-Man is just an online arcade game, it bears no surprise that the basic premise of the game mirrors the path of footballers. It’s a treacherous road to success, sometimes catapulting the unaware into fame when they’re incapable of dealing with it. It’s a labyrinth of choices and fate, intertwined together like snakes on a caduceus. But it’s also rare for that maze to produce a player that is both a shooting star and a falling asteroid. When one looks at the shell of Renato Sanches, confusion is bound to ensue. There have been many instances of football catching up ahead of its young stars, akin to the ghosts in Pac-Man. The only difference, however, is that life rarely offers as many as four chances to survive. Renato Sanches was afforded his big breakthrough, made it to the big stage, but, bound by haste, took a wrong turn and now finds himself in a swirling black hole. His story is sad, even a deterrent for youngsters cast into similar expectations, but it is also certainly intriguing. Sanches was born in August 1997 in Amadora, part of the Lisbon Metropolitan Area. 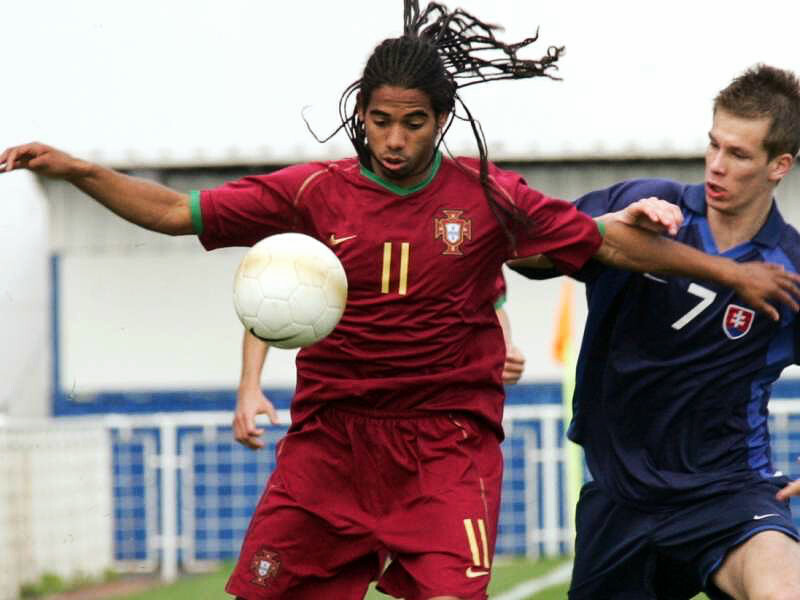 His father, bearing the same name, hailed from São Tomé and Principe, his mother from Cape Verde, but Sanches was a Portuguese. That identity would prove his calling card. He would only be registered when he was, five though, in 2002, for his father had left him for work in France, only later returning to baptize him. His initiation into football began at Águias da Musguiera, his local club, but he moved to Benfica’s academy a year later for the unusual fee of €750 and 25 footballs. He had convinced the Benfica coaches in 15 minutes. The problem, however, was not of talent but of logistics: the Seixal-based academy was on the other side of the Tagus River and the daily commute was a concern. Sanches wished to remain in his comfort zone, and at that age, you can’t fault him, but he was eventually persuaded to take the plunge. For Benfica, it was a bargain. 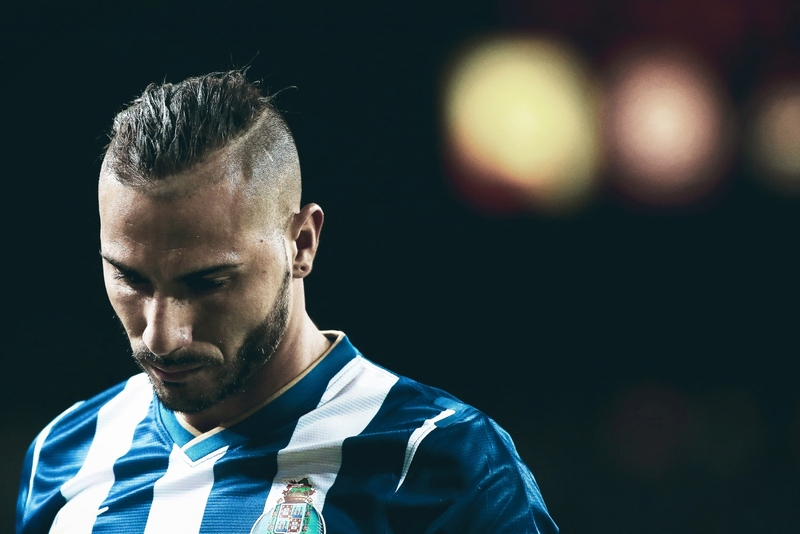 The Portuguese Liga NOS is an untapped world of potential, awash with talented, underrated players. The trio of Porto, Benfica and Sporting exist in their own bubble of power, but even they are bound to the same player development model: purchase for cheap, nurture and sell big. Sanches was part of a bigger picture that allows Benfica to flourish and thrive. But even his sudden rise was unforeseen. After impressing for Benfica B in the Ledman Liga Pro, the second tier, and the UEFA Youth League, Sanches was given his shot in October 2015, making his debut against Tondela in a 15-minute run-out. In his first start at the Estádio da Luz, Sanches rifled in a rocket-like shot into Académica Coimbra’s net, marking his arrival in the arena with style and character. He was not forcing his way through in the status quo but establishing himself as part of that clique. His grandmother’s nickname, Bulo, or risk-taker, summed it up: it was a belief in his own talent that saw him succeed. He remained grounded even as he faced the likes of Atlético Madrid and Bayern Munich, whose reputations preceded themselves. He reacted calmly to racist provocation from some Rio Ave fans. Goals and assists do not indicate much success in his debut season, but Sanches was a phenomenon in his own right, and he rode that wave into Euro 2016. Before that, though, Bayern came calling. One rarely rejects the overtures from the Bavarian giants, regular holders of the Meisterschale, in a league of their own. Their interest was a vindication that Sanches might just be the next big thing. Bayern always react quickly in wrapping up deals before the window opens. This was even more significant, for the impending Euros were a natural platform to increase his value. That Bayern swooped in from a prying Manchester United added to the positivity around his transfer. United fans lamented at Louis van Gaal’s inertia, believing Sanches was the final piece in his long-term jigsaw. His compatriot, Nani, stoked flames by claiming his former club would regret missing out on him. In hindsight, that overreaction sums up the current culture of football on social media, with a tendency towards hyping youngsters. The Bayern move has been no death knell, but there were caveats at the time towards a promising youngster with an albatross of a transfer fee on his nascent shoulders. There’s no doubt that the Euros were Sanches’ tournament. His record in national tournaments was already strong: he was part of the losing finalists to England in the 2014 UEFA Under-17 Euros and was in the Team of the Tournament. This time, though, he was in his own stratosphere, breaking more than just age-related records. 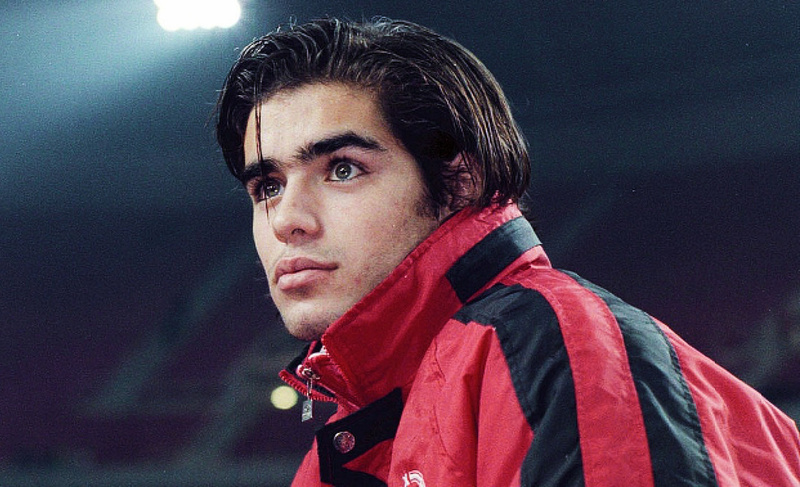 He was the youngest Portuguese to both be selected and start in an international competition, and was the youngest to score in the knockouts. He contributed to the only goal against Croatia in the last 16, winning the man of the match award, then followed it up with an equaliser from outside the box – his maiden goal – against Poland. He also converted the second penalty and was man of the match again. After their dramatic underdog victory in the final, he was the proud recipient of the Young Player of the Tournament award. Countrymen and teammates praised his mental and physical ability, his stamina and his drive: the qualities that defined him as a player. It may impossible to follow up on a year like that, where he also enjoyed a league and cup triumph domestically. Coupled with plenty of individual accolades, including the 2016 Golden Boy, Sanches had done what seasoned veterans fail to d -: win a notable trophy with their country. 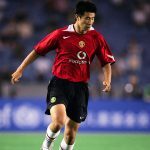 But he’s also the perfect case of why international trophies should not be more than a footnote in judging a player’s career: they’re volatile, unpredictable, seven-game tournaments that can be won by a single swing of the boot. The Euros triumph added to Sanches’ lustre, ratifying his status as one of the best talents in the world, and forced him to start his Bavarian journey with a mountain of expectations. It’s difficult for anybody to thrive under such circumstances, let alone a teenager. To overcome the competition ahead of him is a monumental challenge for any new midfielder. Arturo Vidal, Thiago Alcântara, Javi Martínez and Xabi Alonso all belong to the world-class category. They’re different styles of midfielders but all dominant on their day. In a two-man midfield, it provided plenty of game time for the indefatigable quartet through the season, with each of them clocking nearly 3,000 minutes each. However, it reduced Sanches to the quiet observer, who surely learnt a lot from training sessions under Carlo Ancelotti – but it wasn’t enough. There was a tinge of confusions to the fact that one of Bayern’s other starlets, Joshua Kimmich, found more game time in the middle too, a player originally being groomed to take over from Philipp Lahm at right-back. It is vital to be a Swiss knife in a big club, the type that can fit anywhere with ease. Sanches wasn’t; Kimmich was. Notwithstanding the fact that Kimmich is German, they could not be more polar opposites. The Stuttgart-native was signed for a snip of a fee – £7.65m – and yet his purchase had sense and purpose to it. Bayern, it appears, were ruled by their heart in signing Sanches, not appreciating that for all the bluster and hype, Sanches only had three-quarters of a season behind him, and no summer break either. To expect him to compete in that midfield was churlish, and to expect him to thrive from the start was foolish. He started the season with fairly regular appearances but, as it progressed, he found himself fading away into the shadows, and by the end, he only completed 90 minutes in the Bundesliga once – against relegation-bound Darmstadt in the second-last game. His only other full 90 came in the last Champions League group-stage game against Atlético Madrid. He was reduced to a side-show, and the rampaging Sanches was nowhere to be found. He became a shell of his confident young self, unable to prove his abilities away from the pressure. That he was viewed as a failure in some parts after just one season was a reflection of his unfair price tag. If he arrived with the low expectations Kimmich enjoyed, he may have had a smoother transition. One must also remember Sanches’ preference to stay at home, even in his younger days, and was only convinced to shift countries by the counsel of those around him. It was an opportunity, but sometimes they can be passed on. Perhaps his decision was taken by those with dollar signs in their eyes, cashing on a prodigal yet underdeveloped talent. Jorge Mendes may have played a part, and yes, for Benfica, sales are a primary way to keep them going, but there is always a time and place for that. With Sanches it was premature, cast into the big bad world before he could fend for himself. Sanches knew no English or German. Was he equipped to deal with life in Germany? Probably not. Was the decision to move ruled by euphoria and excitement? Probably. He was too eager to impress at Bayern, with rushed passes belying what he was capable of. He was just not ready. He had been told for the best part of a year that he could dictate games and win them with his passing and drive. Sadly for the youngster, that’s not how you win games at a club like Bayern, littered with world-beating talent. The summer provided plenty of time for introspection. This writer watched him in Singapore as he had a decent yet inconsistent game. What was apparent was that there was no clear reasons to stay in Bavaria. Given game time would be prerogative, he had to move elsewhere. A move back to familiar surroundings would have been best, or at least a side with cultural similarities, on and off the pitch. Instead, he was cast further into the quagmire. Swansea have always been a likeable side but poor business in recent years has undone their progress, and while they are by no means the worst of the lot in the Premier League, they could be better. Their lack of identity in recent times mirrors Sanches. Ancelotti’s former assistant, Paul Clement, was key. He took Sanches as a personal reclamation project, hoping to bring him back to his best. Knowing his potential from Bayern, the theory was great. But Sanches was not equipped for another year of difficult challenges. His move generated plenty of interest amongst Swansea fans not used to Golden Boy winners in their squad. But once that died down, the sharp, painful doses of reality kicked in. His debut was unconvincing, rushed ahead of its time, a story of his career so far. Sanches was part of the squad from the fourth league game onwards, and it took him until the 21st, on the stroke of 2018, to be part of a first-team win. The Welsh side spiralled quickly towards the foot of the table and Clement was booted out for Carlos Carvalhal, his Portuguese compatriot. Swansea have been much better since the turn of the year, but Sanches’ impact has been minimal. Talks were abound to terminate his loan, but life is cruel. Bayern displayed a rare lack of foresight in playing Sanches in the DFL-Supercup for 36 minutes earlier in the season. The game went to extra-time and it tied him up with either Bayern or Swansea for the season. If he returned from Wales, he would not be able to play for a third club in the season – and it’s clear that he’s not needed in the Die Roten squad. All this leads to a major crossroads in his career this summer. Sanches was never too keen on the Swansea move according to Clement, and believed he was moving to Manchester United, Chelsea or Paris Saint-Germain instead. That was certainly a misguided notion, for Swansea was a better option, if only marginally. 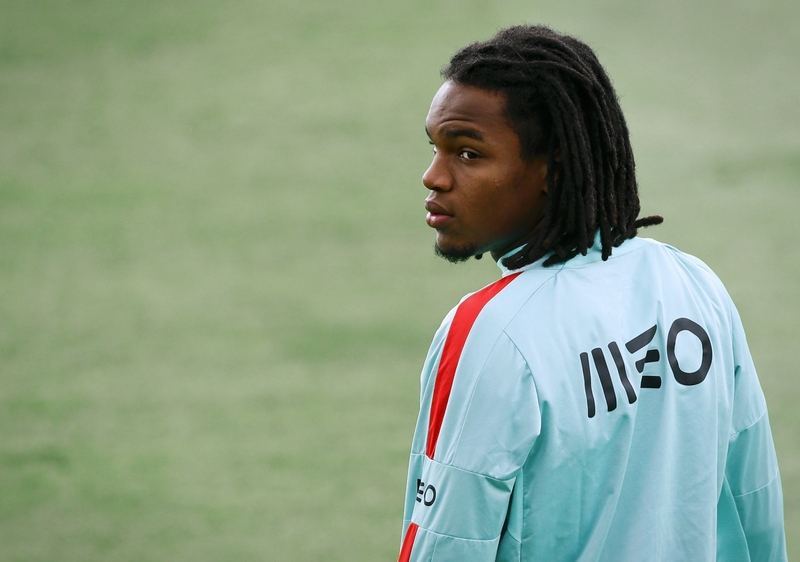 Clement saw Sanches to be a boy who had almost got the weight of the world on his shoulders – more damaged than he thought. Away from prying eyes, he was thriving, but in the game, he was too forceful. As a result, he’s been sucked into a vortex of misfortune. At Swansea, he’s been an isolated figure and he needs someone to guide him. Carvalhal could well be that man, but it may be too late already. The manager, overseeing a timely resurgence in Wales, truly believes in him but is ruthless in his approach. Either you perform or you’re out. For now, Sanches is back in Portugal for the final stage of his recuperation from injury. Carvalhal gave him the blessing to return to warm weather, which would help him recover faster. That’s just the physical recovery, though; the mental aspect is as important. Surrounded by family and a familiar environment, it could help rebuild his shattered confidence. There are several conclusions to draw. The fickle nature of football can crush dreams in such a short span of time, but humans always have Elpis – hope – to count on. Few players have had such a rapid rise and decline over a 24-month period, but Sanches fits the bill. He should have been left to his own devices at Bayern but wasn’t offered the option. His career has been dictated by decisions not left to him, and characterised by impatience, both by himself and those around him. He’s still only 20 but has lost two years of valuable development. Like a fly caught in amber, he remains in limbo, as though the gods are unsure of what to make of him yet. And he’s in a lonely world of one, stuck within the confines of his mind, unable to be set free. His Twitter account is an extension of Sanches. That physicality, power and stamina has been shackled. Player development is a tricky business, but stability is always key. Sanches has had neither. His best position is still up for debate, not helped by Swansea shunting around the midfield. However this season goes, though, Sanches needs a ray of optimism next year, ideally a return to Portugal, even if Bayern are unwilling to cut their losses just yet. We all live in a rushed world, where things have to happen immediately, and this is reflected in Sanches’ game. If he stops to reflect, pauses to think, relaxes to ease up, it could benefit his game. It is unlikely that he has a long-term future at Bayern, but there is no reason why he cannot still make it. At 20, Sanches still has plenty going for him – he just needs a way to regain his confidence. His struggle should not become his identity, but empower and spur him on to prove himself against a wave of doubt. Football hopes he can recover in the coming year, recovering his status as a truly mercurial talent. One day, Sanches will watch his misplaced pass into the advertising board against Chelsea last year with a smile. He mistook the Carabao Bull for a teammate, a sad indictment of his fall, but with time and patience, he can return to the rampaging midfielder he once was. He can’t be bullish about that, but if he takes his troubled experiences in his stride, there is plenty to be positive about. There is always hope, even in the darkest days. Life got ahead of the youngster; he just needs to get in sync with it.